Good morning, readers! 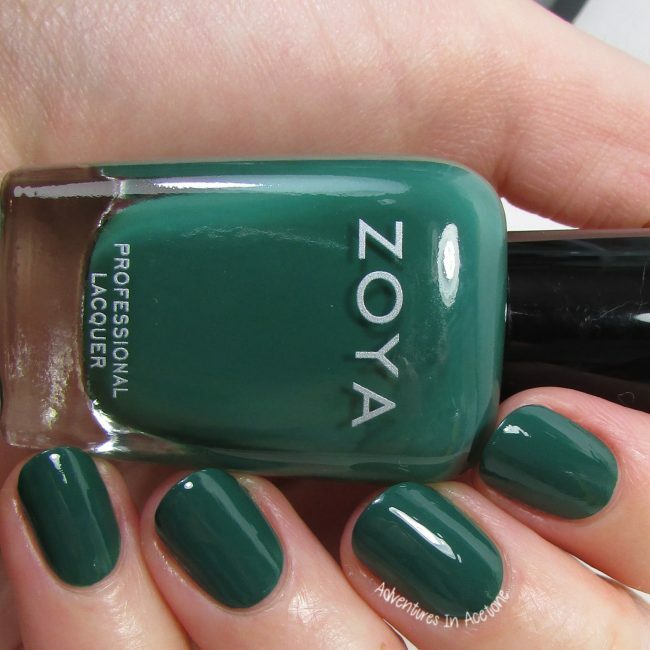 I have the Zoya Urban Grunge Collection to share with you today. They are six one-coat creme shades and six metallic/holo shades. Whether you are a creme girl or someone who gravitates more toward shimmery colors, I think this collection is a big hit for everyone. Let’s take a look. I want to start with the one coat cremes. I, personally, tend to gravitate more toward creme polishes. I think it is because I like to do free hand nail art and cremes are perfect for that. Four of these six cremes REALLY ARE one coaters. They will be amazing for nail art but are also stunning alone. A full coverage gray like a fine, expensive leather with a mid-ranged, balanced tone. 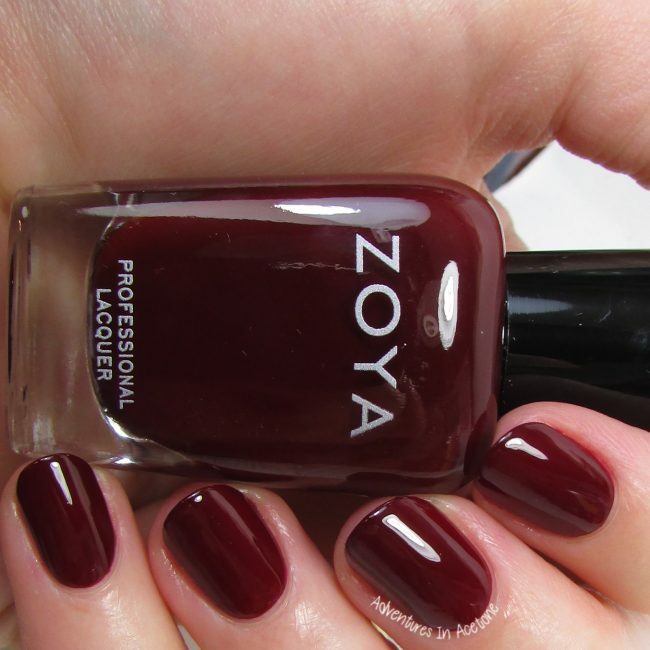 I’m showing one coat below with top coat. I love gray cremes and I still cannot believe this is only one coat. 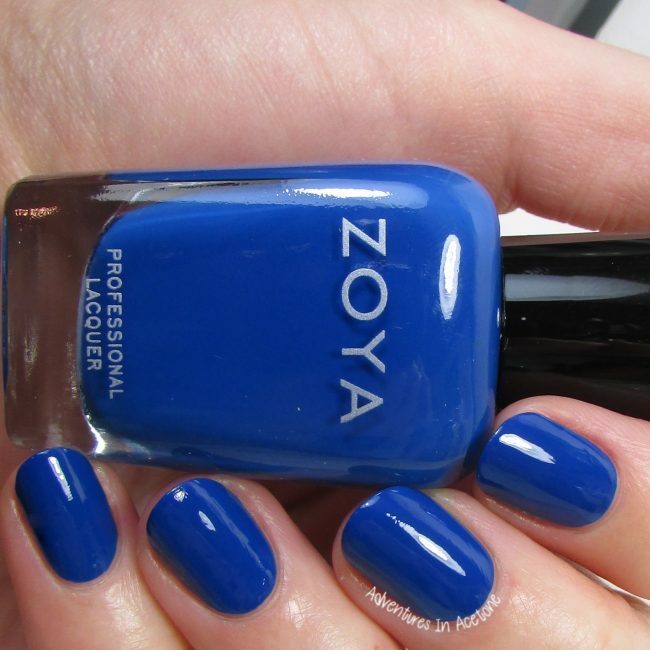 A full bodied, vibrant Prussian blue with a deeply saturated color. I recommend a good base coat with this color, I had staining all around my fingers during removal as well. A true racing green with a deep pigment. This is a great fall green and it removed without staining. A mid-range taupe evenly balanced between yellow and grey. 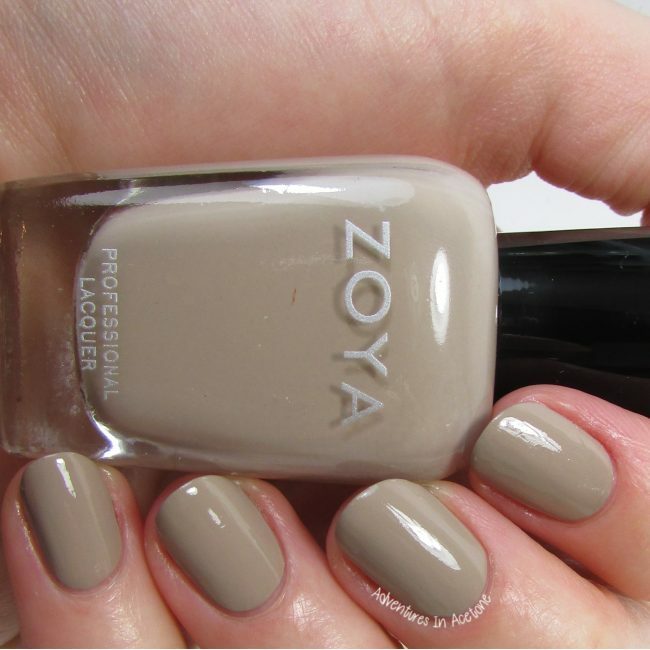 This is another neutral that is so great to have in a one coater formula. A deep red beet root shade. This wasn’t quite even enough at one coat for me, it was a little squishy. A purple plum with a balanced tone between red and purple. Another that needed a second coat to even it out, but gorgeous just the same. Onto the metallic/holo half of this Urban Grunge Collection. There are three that have holographic sparkle and the other three are gorgeous metallic shimmers. These didn’t have the opacity of the one coat cremes and I did two coats for the swatches below, but that lets the shimmer shine through. A linear holo with a touch of gold. This is such a stunning shade, I’ve worn it twice since swatching it. One coat is a nice sheer holo and gold shimmer for just a touch of fun on bare nails. The second coat builds up the holo and I typically don’t feel the need for a third. If slight VNL (visible nail line) bothers you, you may need a third coat. A deep royal purple scattered holo. 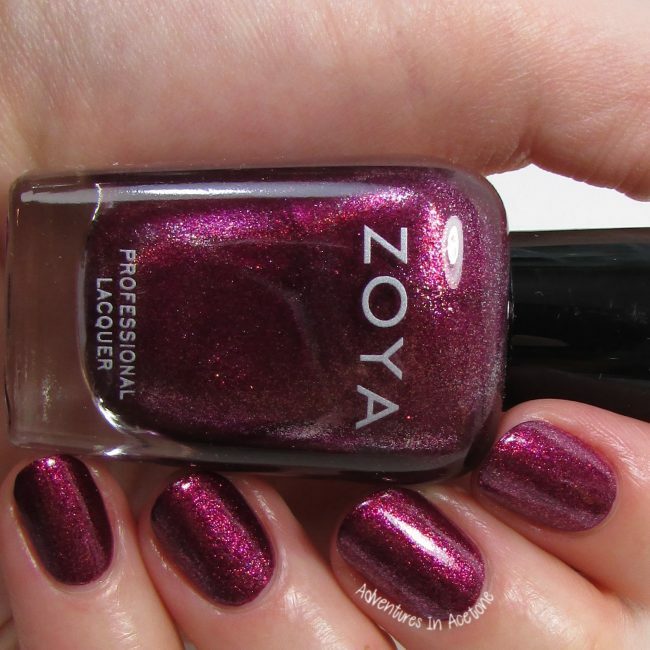 This is a gorgeous purple with scattered holo sparkle! 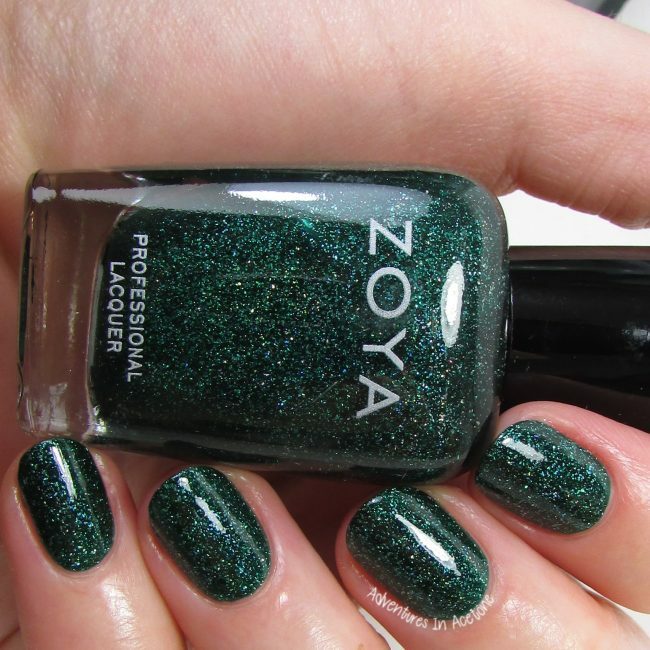 A brilliant lush evergreen scattered holo. Another gorgeous holo sparkle shade, and the name is spot on! 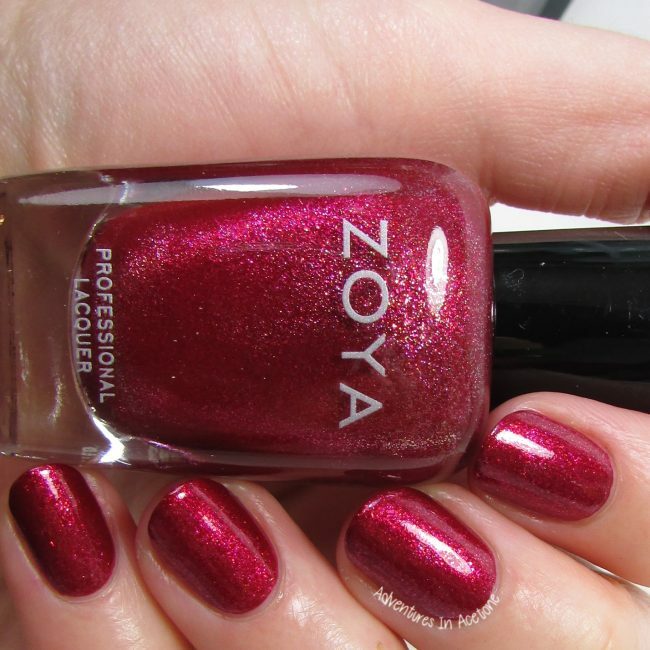 A vibrant cherry with a red and gold metallic shimmer. This is one of my favorites from the collection, the shimmer is so intense and stunning. The Pokemon love continues and I am so thrilled that there is an Ash named red polish! A berry metallic with a red and purple, fuchsia flash. This also has really gorgeous shimmer! Liquid pewter with a foil finish and an edgy touch of black and gold. This is such a cool color–reminds me a bit of some of the matte velvets from a couple of years ago but it is a gorgeous shiny version. There you have them! Which are your favorites? 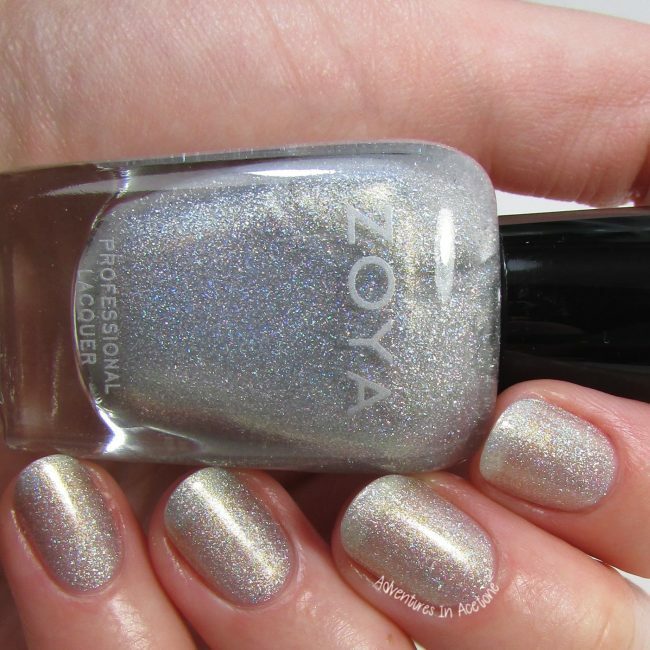 Are you leaning more toward the cremes or the metallic holos? 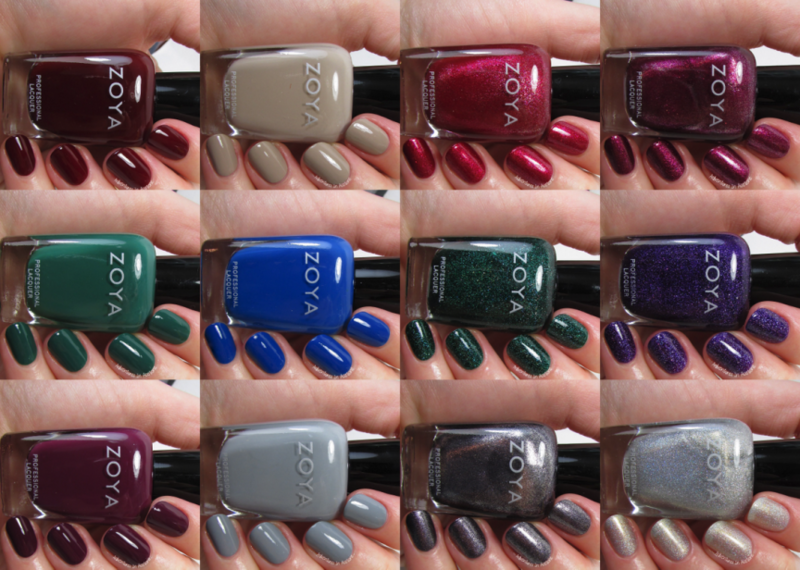 The Zoya Urban Grunge Collection is available for purchase on Zoya.com for $10 ea.(US). Ooh wow these collections are amazing. I’m loving Ash the most, it’s the perfect Christmassy/Fall colour but then so are a lot of the others. Loving your swatches too!